The Lakers had a pretty devastating weekend. They blew a close game late against the Bucks and then lost another must-win game to the Suns, lowlighted by LeBron inbounding the ball off his own backboard. Luke Walton isn’t all to blame for the Lakers’ collapse — there’s plenty of blame to go around — but it’s increasingly clear a) that the Lakers are unlikely to make the playoffs, and b) Walton will be at least one of the scapegoats. Here are some replacements that make sense (a version of this list originally ran in February). In odds released by Bovada in February, Kidd was actually the betting favorite to be the Lakers’ head coach on opening day next season. 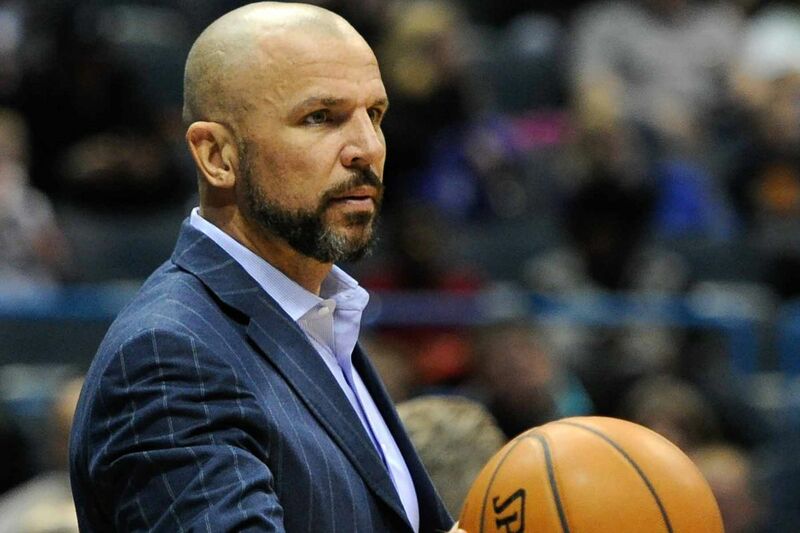 A lot of times these odds can be taken with a grain of salt because they have low betting limits, but Kidd to the Lakers has been a subject of persistent chatter all season. Personally, watching the Bucks improve vastly after replacing Kidd, I think this would be a horrible idea. However, maybe the Lakers do it anyway? When Lue replaced David Blatt in Cleveland, the Cavs won the title later that season. He has familiarity with the LeBron media frenzy, and won’t get bogged down by the media circus perpetually surrounding the Lakers. Lue played for the Lakers in his first three seasons in the NBA, from 1998-2001. Jackson had a 121-109 record in three years as coach of the Warriors, including 51-31 in his final season. Otto Porter Jr. has had a massive impact on the Bulls’ soul. Their 5-3 record since he came on board is an obvious consequence. His attitude, his shot-making, his size — which makes switching seamless — and his dog mentality on defense have generated a true esprit de corps. That’s because a player’s intangibles often aren’t felt until he’s in that locker room. Jabari Parker was signed to a two-year, $40 million contract during the summer and boasted that he wasn’t paid to play defense, which he backed up once training camp and the regular season started. Parker and Bobby Portis were sent packing to the Wizards for Porter, who came in with playoff experience and a contract that pays him $26 million this season and $27.2 million next season with a player option at $28.4 million for the 2020-21 season. Big money, no doubt. But the new highest-paid Bull is willing to dive after loose balls, wants to defend the best players and plays the game unselfishly. Former Ohio State quarterback Dwayne Haskins finished the 40 with a super-slow time. And then the excuse-making began. Ian Rapoport of NFL Media reports that Haskins was “battling leg cramps prior to running.” Rapoport adds that Haskins had been timed in the 4.8s while training for the Combine, and that Haskins will run the 40 again at his Pro Day workout. Officially, Haskins ran the 40 in 5.04 seconds on Saturday in Indianapolis. I’m not going to say that Rapoport’s source isn’t telling the truth, but there’s definitely a motivation to embellish in these situations. Also, if Haskins truly had leg cramps before running, why run? Why not say instead, “I’ve got leg cramps”? Adam Silver still thinks the NBA All-Star Game needs a dramatic overhaul, and this year’s exhibition in Charlotte didn’t change his mind. “The All-Star Game didn’t work,” the commissioner said at the MIT Sloan Sports Analytics Conference on Friday, adding that the game was “an afterthought” of the weekend, according to the Associated Press. Silver brought up the possibility of a midseason tournament replacing the All-Star Game if the league cuts the regular-season schedule down to roughly 70 games. In an effort to broaden the scope of the sport of basketball across the world, the NBA and FIBA announced today that they are planning to launch a basketball league featuring 12 club teams across Africa. 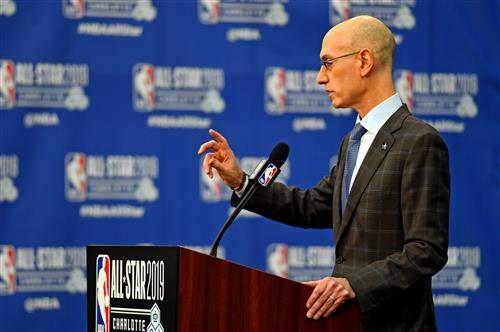 NBA commissioner Adam Silver announced the creation of the league during All-Star Weekend in Charlotte. The league will reportedly feature 12 franchises that will begin play in January 2020, with existing African club teams having a chance to qualify for the league. The new league will be called the Basketball Africa League (BAL), and will be based on already existing team competitions that FIBA has organized throughout Africa. The NBA and FIBA also announced that they are planning on conducting qualification tournaments later this year in order to find the 12 best teams to represent countries including Angola, Egypt, Kenya, Morocco, Nigeria, Rwanda, Senegal, South Africa and Tunisia. According to the statement, there will be no more than two teams from any single country in the league. Along with the announcement of the league, the NBA also announced that by the start of the 2019-2020, a revamped direct-to-consumers offering of NBA games will be available for fans in Africa, along with FIBA also promising to dedicate financial support and resources toward the development of the sport in Africa, which will include money that goes to training players, coaches, referees, and infrastructure. There are currently 12 players from African countries on NBA rosters. Joel Embiid, Luc Mbah a Moute and Pascal Siakam are from Cameroon; Bismack Biyombo and Emmanuel Mudiay are from the Democratic Republic of the Congo; Abdel Nader is from Egypt; Cheick Diallo is from Mali; Josh Okogie is from Nigeria; Serge Ibaka is from the Republic of the Congo; Luol Deng and Thon Maker are from South Sudan; and Salah Mejri is from Tunisia. 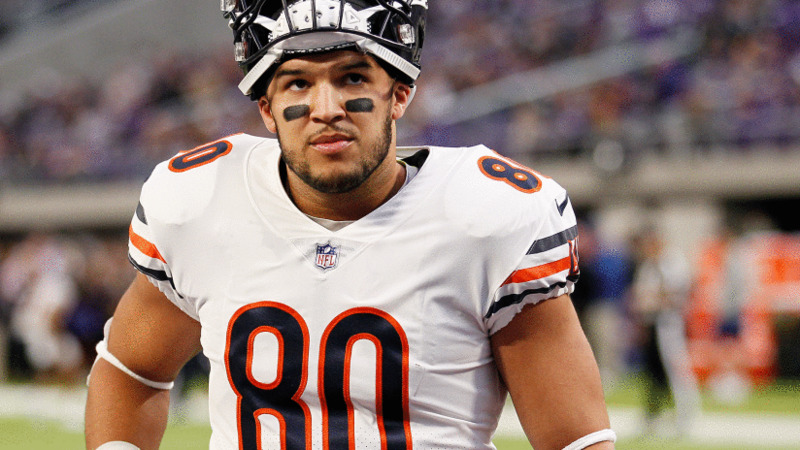 Trey Burton on Monday clarified the strange, 11th-hour injury that sidelined him from the Bears’ 16-15 loss to the Philadelphia Eagles that knocked his team out of the playoffs. Burton initially said he thought he was fine after Friday’s practice and would be able to push through it, so he didn’t get any treatment. But he did mention his body has a history of locking up like it did when “it feels any threat,” and even in doing “everything possible” on Saturday, he said, he wasn’t able to go.